New in the Redactor 2 toolbar is the Uploadcare button. With it you can allow editors to use the Uploadcare service to insert images from over 9 different services such as Facebook, Google Drive, Dropbox, Instagram, and even your webcam! To start using Uploadcare with Redactor you'll first need to obtain your public API Key. You can get that by creating an Uploadcare account. Once you've got your API key head to your System Settings page and set your redactor.uploadcare_pub_key Setting to your new key. You can use Uploadcare for testing with the default demopublickey testing API key but files will be deleted after a few hours. By default Uploadcare will display all the available tabs. This includes Facebook, Google Drive, Dropbox, Instagram, Evernote, Flickr, OneDrive, Box, VK, uploading local files, importing from webcam, as well as inserting an image from any URL. You can configure which tabs are displayed using your redactor.uploadcare_tabs System Setting. Set this to a space separated list of services to use in Uploadcare Upload Panel. 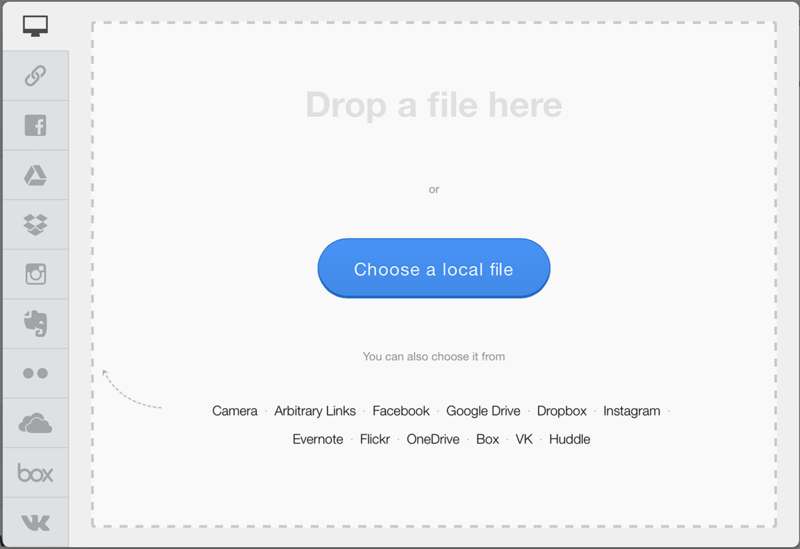 By default Uploadcare supports "free" cropping which enables the user to select an area of an image. Cropping can be configured by editing the redactor.uploadcare_crop System Setting. This should be a strip with one or more crop presets. Presets are divided by commas. When more than one preset is defined, user can pick any of them on crop step. Each preset consists of a size definition and optional keyword. "300x200 minimum" — user will not be able to select an area smaller than 300x200. If uploaded image is smaller than 300x200 itself, it will be upscaled. UploadCare supports localisation via the redactor.uploadcare_locale System Setting. Like any MODX System Setting, this setting can be overridden on the user level.